Women are the majority of the population, representing nearly $20 trillion in buying power. It’s stunning, then, that they get woefully little attention from financial advisers. That’s a staggering amount of money to be left on the table, which is why Purse Strings has made it our mission to close that gap. Female investors deserve to be listened to, and the savvy financial professionals that spend time serving their specialized interests will be rewarded for rising to the challenge. Other sectors paying respect, not just lip service, to female consumers and are seeing their efforts pay off. Let’s take a look. 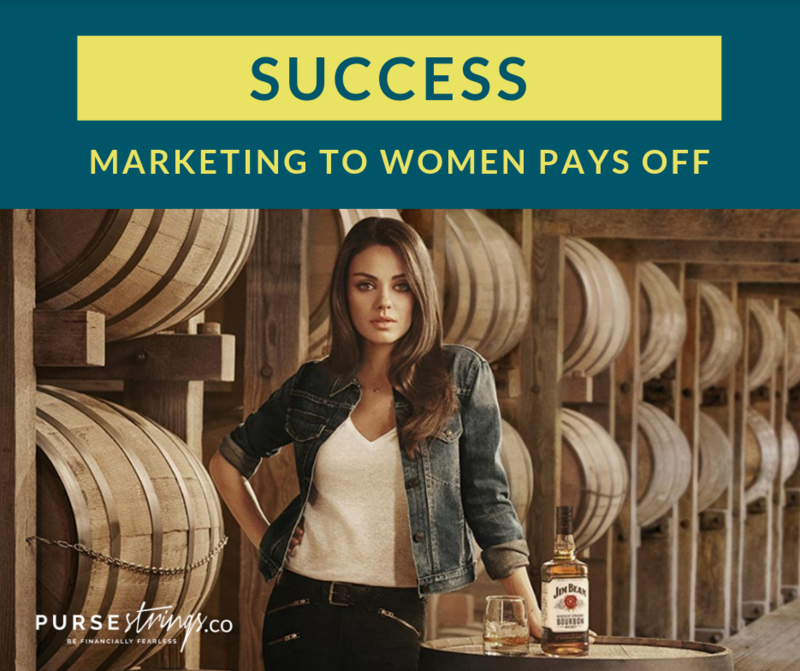 Several years ago, global spirits maker Suntory launched its “Whiskey and Women” market research initiative. The company discovered that about 30% of growth in the category was coming from women, even though no real effort was made to reach or engage women. “I just felt we could do better than that,” said Rebecca Messina, SVP/global CMO for Beam Suntory. To take advantage, Suntory created a campaign for its Jim Beam brand with these thirsty women in mind. They signed actress Mila Kunis as brand ambassador and launched a campaign that emphasized the interest and style of female drinkers—less swagger, more empathy. The sports and workout apparel market is booming, yet some companies are struggling. About a year ago, Under Armour posted the first sales drop in its history. To recapture some of the magic, they’ve launched a number of efforts to speak directly to active women. Initiatives include the Lindsay Vonn collection, timed to debut just before the skier’s performance at the 2018 Winter Olympics. They also introduced the female-centric “Unlike Any” campaign, showcasing fierce, famous female athletes like dancer Misty Copeland, stuntwoman Jessie Graff and runner Natasha Hastings. Back in the day, feminine hygiene marketing was pretty lackluster—nothing engaging or entertaining about it. In the past several years, brand owners have made some interesting changes, injecting campaigns with color, humor, empathy and other elements that had been missing. One notable example: after a distribution SNAFU left its products M.I.A. from shelves, OB Tampons kicked off a campaign that issued hilarious personalized apology videos to all the consumers in its database. Consumers responded, and the campaign landed several ad-industry honors. Increased connection with female consumers works for retail brands, and it can work for financial professionals like you. Check out the Purse Strings programming and learn how to empower your operation to take advantage of this under-served market.